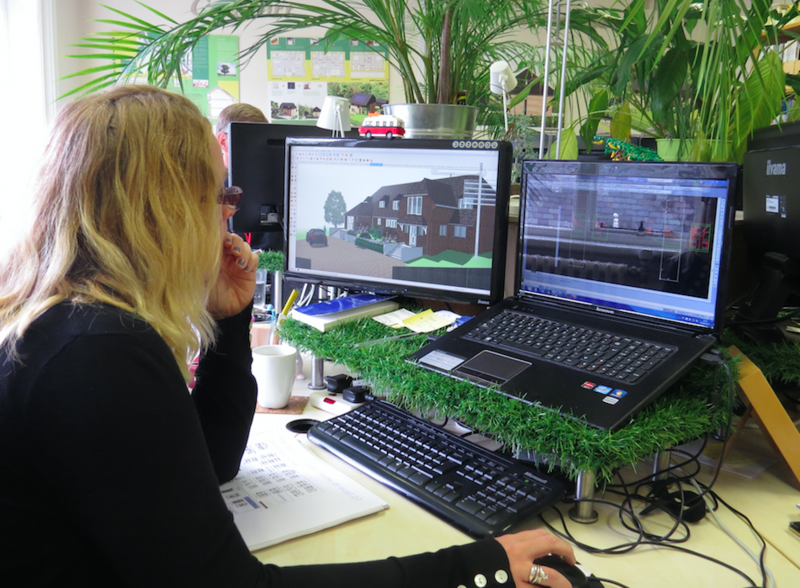 A £2,000 Velocity grant has helped a team of architects upgrade their software systems to ensure they can work more efficiently – just like the eco-friendly homes they help to design. Eco Design Consultants, based at Bletchley Park, specialise in designing beautiful and affordable places to live and work which have a minimal impact on the environment. Having realised their software systems were outdated and their procedures for backing up valuable data were leaving them vulnerable, the Eco Design team approached Velocity business adviser Emmanuelle Clément to discuss ways they could help. Office manager Donna Budden said: “We were backing up on a weekly basis but sometimes it didn’t get done and we were putting ourselves at risk of losing a lot of work. “Different staff members were using different software suites which was making life more difficult than it needed to be. We were able to get a grant to invest in a new Office 365 package which helped solve these issues and also made home working a much more viable option. “It’s had a huge impact on the way we work and has made us much more efficient. It means more job security and will allow us to ensure that all new staff will have a clearer understanding of their role. The Eco Design team didn’t have to look far to appoint software experts to carry out the upgrade. They enlisted the services of Atmos – a company based just 50 yards down the corridor at Bletchley Park. By using local suppliers they ensured the Velocity grant was used to help two local companies, rather than just one, making it a perfect example of collaborative working.